1bd, 1ba 910 sq. 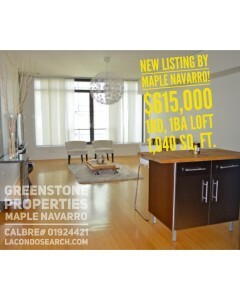 ft.
Top floor unit at the Concerto Lofts! 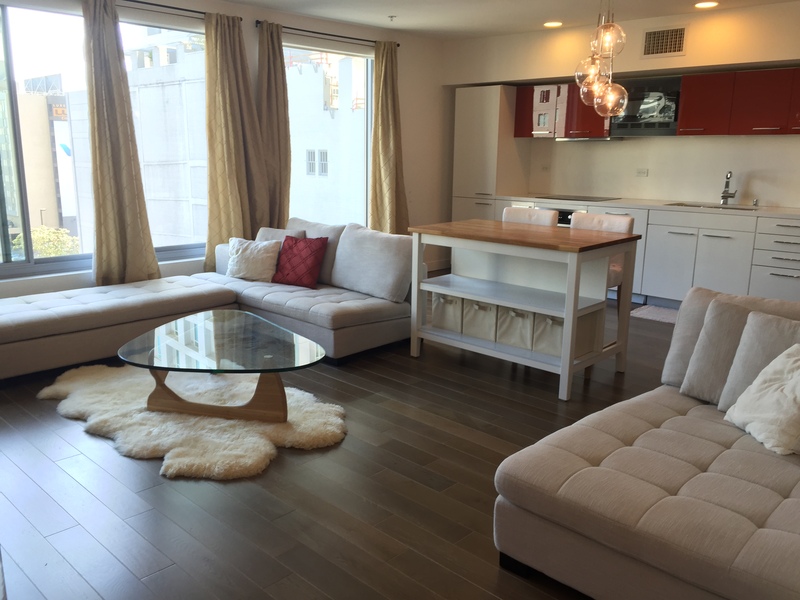 Concerto lofts is in the heart of South Park, close to LA Live©, Staples Center ©, FIDM©, fine restaurants, cafes and entertainment. Concerto has amazing amenities including a pool, spa, fitness center, outdoor BBQ grills and an amazing sun deck. One reserved parking spot included in the rent. The loft has a great layout for entertaining. The kitchen is a sleek design. The bedroom is spacious and has sliding doors with a walk in closet. The bathroom is a designer bathroom. The unit includes a washer/dryer. The building also has a laundry room. Gorgeous unit in the heart of DTLA! It’s a must see! Please check out the Concerto virtual tour of the loft here! Also for lease in DTLA! Evo Lofts! $2,650 a month! Evo Unit #1206 1155 S. Grand Ave. Unit #1206, LA, CA 90015 1bd, 1ba 900 sq. ft.
VIEWS! VIEWS! VIEWS! 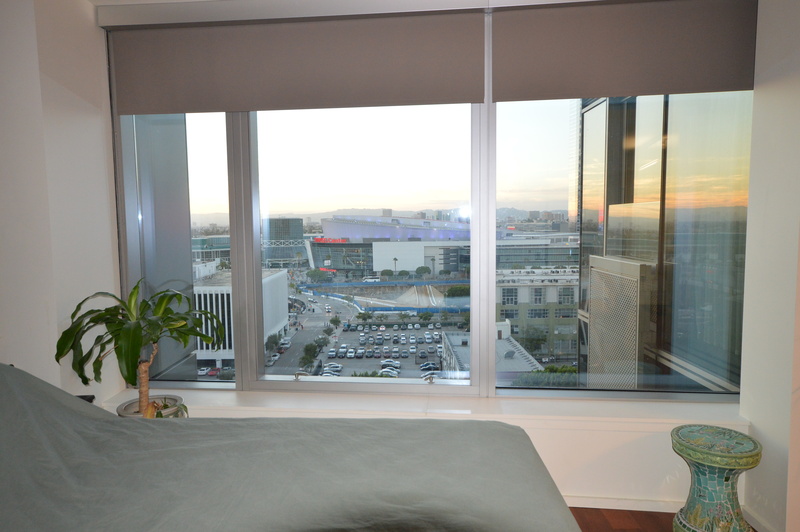 EVO LUXURY CONDO UNIT OFFERS BREATHTAKING VIEWS OF STAPLES CENTER©, LA LIVE© AND THE SUNSET FROM THE COMFORT OF YOUR BEDROOM AND YOUR LIVING ROOM. THE BEDROOM IS NEXT TO THE FLOOR TO CEILING WINDOW. THE UNIT IS EXCEPTIONALLY BRIGHT WITH NATURAL SUNLIGHT. IT HAS A UNIQUE AND FUNCTIONAL WRITING AND COMPUTER AREA AND A BEAUTIFUL WARDROBE CABINET IN THE LAUNDRY AREA. EVO HIGH RISE LIFESTYLE LIVING IS THE ENVY OF MANY AND ONE OF THE BEST IN DOWNTOWN LA. RESIDENTS ARE PAMPERED IN LUXURY WITH ITS RESORT LIKE AMENITIES SUCH AS THE ROOF TOP GYM AND 240 SKY LOUNGE INFINITY POOL AND SPA OUTDOOR BBQ AND 24 HR FRONT DESK DOORMAN CONCIERGE. EVO IS SURROUNDED BY NEARBY RESTAURANTS AND SHOPS AND IS CLOSE TO STAPLES©, LA LIVE©, RALPHS©, AND WHOLE FOODS© AND A FEW BLOCKS FROM THE FINANCIAL DISTRICT.